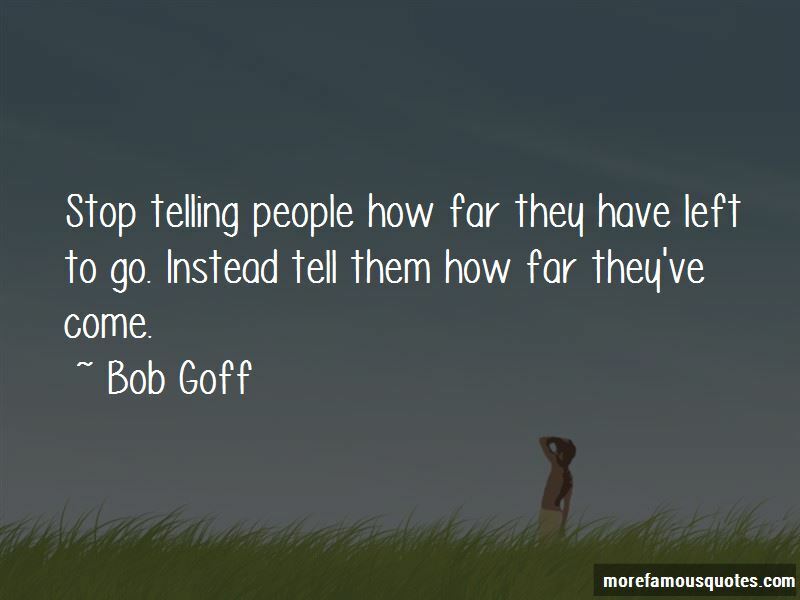 Enjoy the top 229 famous quotes, sayings and quotations by Bob Goff. I think God's hope and plan for us is pretty simple to figure out. For those who resonate with formulas, here it is: add your whole life, your loves, your passions, and your interests together with what God said He wants us to be about, and that's your answer. Words can launch us. We don't need to be a dean to say words that change everything for someone. Instead, God made it so that ordinary people like you and me can launch each other. [ ... ] love is a do thing. It's an energy that has to be dissipated. It seems that what God does most of the time when He has something to say is this ... He doesn't pass us messages, instead he passes us each other. He didn't tell me I was a fool and that my idea would fall off the tracks on the way to the launchpad. He didn't tell me I would surely crater even if I did briefly lift off. He was resolute, unequivocal, and had no agenda. He was with me. I don't know how to explain Bob's love except to say it is utterly and delightfully devastating. You simply cannot live the same once you know him. Jesus always pointed people towards a better version of themselves - particularly when they'd failed. 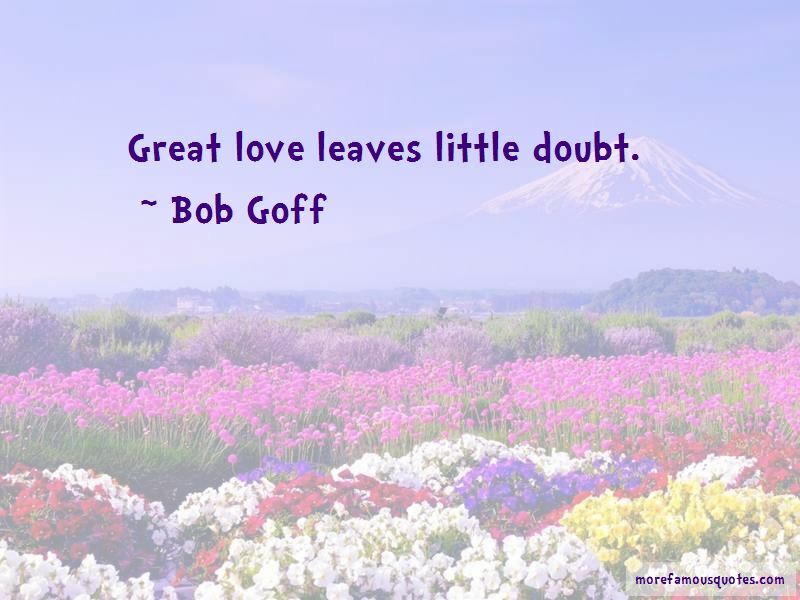 Great love leaves little doubt. Love has the kind of power criticism only wishes it had. Cynicism is fear posing as confidence; joy is hope let off the leash. 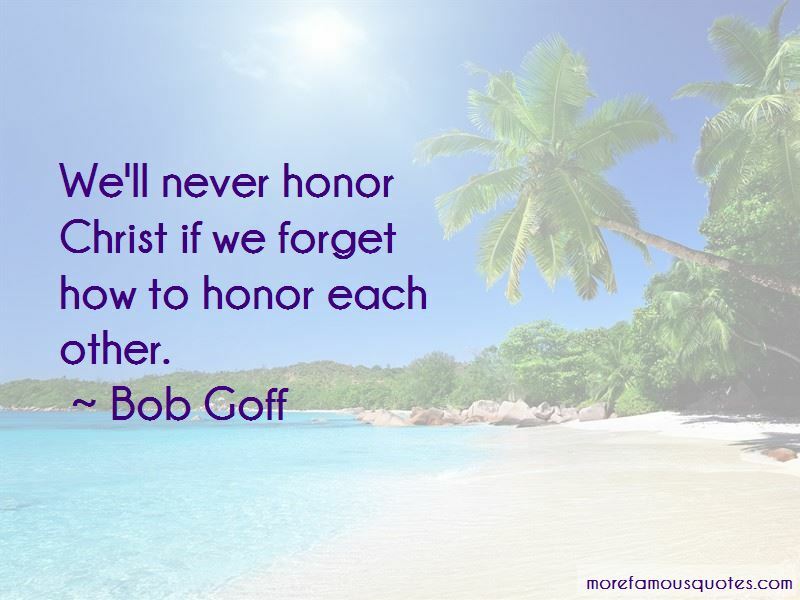 Want to see more pictures of Bob Goff quotes? 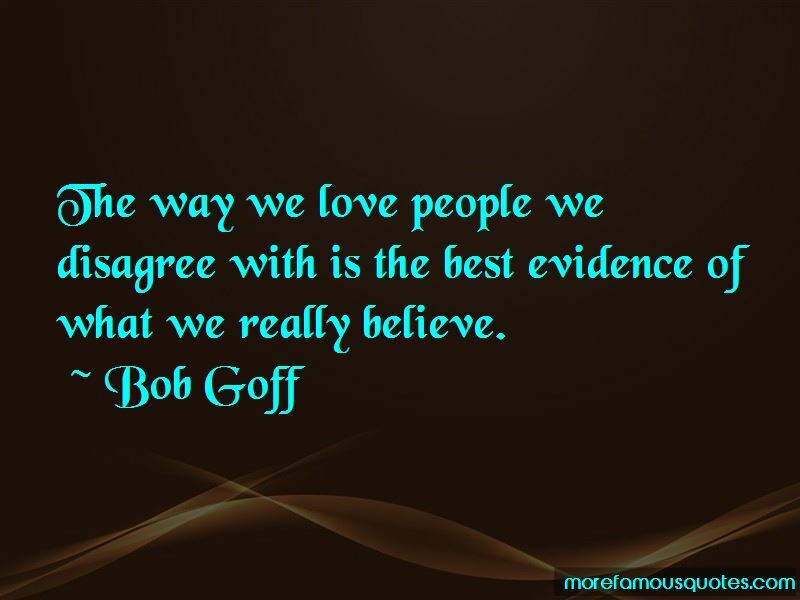 Click on image of Bob Goff quotes to view full size.